In our efforts to keep the recreation facilities in optimal condition, the Lake Sumter Line Boat Tours will be temporarily closed from Monday, April 29, 2019 through Thursday, May 2, 2019. We apologize for the inconvenience. If you have any questions or need additional information, please contact the Laurel Manor Recreation Center at 352-751-7110. In our efforts to keep the Executive Golf Courses in optimal condition, the Belvedere Executive Golf Courses will be closed for single day aerification, sanding and chemical applications. Belmont will be closed on Monday, April 22, 2019. Pimlico will be closed on Tuesday, April 23, 2019. Churchill Greens will be closed on Thursday, April 25, 2019. This early maintenance recovery transition program is used to encourage quality conditions. While every effort will be made to ensure smoothness, please plan on a 14 to 21 day recovery cycle and plan your tee times accordingly. These schedules may be adjusted due to unforeseen circumstances, including weather. We apologize for the inconvenience. If you have any questions or need additional information on this transition, please contact District Executive Golf Maintenance at 352-674-1885. In our efforts to keep the Executive Golf Courses in optimal condition, the Bogart, Sweet Gum, Mangrove, Tarpon Boil and Redfish Run Executive Golf Courses are closed until further notice for early transition repairs and recovery. This is a planned early maintenance recovery program to ensure quality conditions. This schedule may be adjusted due to unforeseen circumstances, including weather. We apologize for the inconvenience. If you have any questions or need additional information on this transition, please contact District Executive Golf Course Maintenance at 352-674-1885. The Observation Tower at the Sharon Rose Wiechens Preserve will be closed until further notice. For your safety, please refrain from visiting the Observation Tower. We apologize for the inconvenience. If you have any questions or need additional information, please contact the Rohan Recreation Center at 352-674-8400. Interested in becoming an Instructor or a Speaker for The Enrichment Academy? Join us at our informational presentation to speak with staff members, ask questions, and learn how instructors and speakers can bring new and innovative learning opportunities to the program. Two sessions are available at Lake Miona Recreation Center on April 26th at 9 am or April 30th at 5:30 pm. For more information, please click the link below. Per your individual Declaration of Restrictions, amenity fees are subject to an adjustment based on the fluctuation of the National Consumer Price Index for all Urban Consumers. The timing of this adjustment can vary based on the Declaration of Restrictions in your unit. For information specific to your home, please refer to your Declaration of Restrictions. For assistance in obtaining them, please contact Community Standards at (352) 751-3912. Each month, the percentage of adjustment will be provided in What’s Happening for your reference. If you have any questions or need additional information, please contact Finance Customer Service at (352) 750-0000. The Consumer Price Index for All Urban Consumers changed by 1.520% from February 2018 to February 2019. This change will be used to adjust Amenity Fees for properties with original land sale dates in the month of March. •There is no longer a penalty if a ball played from the putting green hits a flagstick left in the hole. •Players are not required to putt with the flagstick in the hole; rather, they continue to have the choice to have it removed (which includes having someone attend the flagstick and remove it after the ball is played). Removing the flagstick to help in retrieving a golf ball from the cup is still considered proper etiquette and requires that we complete the task by hand. Using the flagstick to pinch and pull up the golf ball from the cup is frowned upon and not considered good etiquette standards. The challenge for Executive Golf Courses in The Villages is that many residents use assistance or ball removal devices for the convenience of not bending as far to remove golf balls from cups. When ball retrieval devices are inserted with flagsticks still in place (Photo 2) the damage to the delicate edges of cups occur. It also causes degradation of the putting surface for the players that follow. We are asking all residents that use these devices to simply pull the flag stick out gently (Photo 1) and remove the golf ball with your device. This will ensure the integrity of the cup edges and allow players to enjoy the same crisp quality of the cups as the players before them. Please be considerate of others and all properties. Dog owners are responsible for picking up after their pets. Please take all waste home for disposal. Do not use storm drains, postal or recreation facilities for disposing of solid waste or plastic bags. In addition, please follow all county ordinances including all dogs are required to be on a leash. 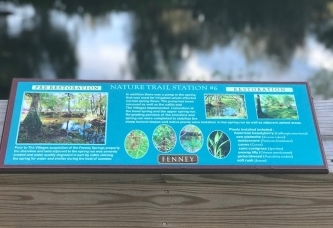 New signage has been added to the Fenney Springs Nature Trail & Boardwalk to help educate visitors on the nature found along the trail. Drop by and take a look. In our efforts to keep the recreation facilities in optimal condition, the Fenney Putt & Play and Croquet & Lawn Bowling facilities will be closed periodically for maintenance. Please see the schedule below for a listing of closure dates. This schedule may be adjusted due to unforeseen circumstances, including weather. We apologize for the inconvenience. 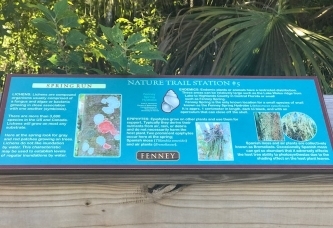 If you have any questions or need additional information, please contact the Fenney Recreation Center at 352-674-8460. The polo player entrance gate off of Buena Vista Boulevard is locked. All clubs will need to enter through the electronic gate at the south end during off season. Walkers and approved Resident Lifestyle Groups will be allowed admittance from 7:00a.m. -12:00p.m. The timer is being set and the gate will automatically open as each car/golf cart hits the pad during these hours. For further information, please contact Saddlebrook Recreation Center at 352-259-5377. The Recreation Department has created consistent and uniform guidelines regarding inclement weather that may impact the public, health, safety and well-being of staff, volunteers, participants and facilities. Please click here for the complete guidelines! In our efforts to keep the recreation facilities in optimal condition, the Chula Vista Recreation Center will be temporarily closed for quarterly maintenance on Saturday, April 27, 2019. This schedule may be adjusted due to unforeseen circumstances, including weather. We apologize for the inconvenience. If you have any questions or need additional information, please contact the Chula Vista Recreation Center at 352-753-0002. If you are interested in becoming a primary or alternate volunteer representative for the Lady Lake / Lake County portion of The Villages, applications are available by clicking the application link below. Please complete the application and return it to the Community Standards Department, 984 Old Mill Run, The Villages, Florida no later than Tuesday, April 30, 2019. In our efforts to keep the recreation facilities in optimal condition, the El Santiago Recreation Center will be temporarily closed for quarterly maintenance on Sunday, April 28, 2019. This schedule may be adjusted due to unforeseen circumstances, including weather. We apologize for the inconvenience. If you have any questions or need additional information, please contact the El Santiago Recreation Center at 352-753-1410. Rainey Construction Company is tentatively scheduled to begin resurfacing the following villa roads. Dates may be adjusted due to weather or equipment issues. The contractor will do everything possible to minimize your inconvenience. For the SAFETY of our crews and all residents, we ask that you reschedule any work or deliveries to your Villa until the paving is complete as they may be denied access. Only residents and emergency vehicles will have immediate access during the construction. PLEASE DO NOT run your irrigation, wash your vehicle or empty your pool during the week as it will make the work take longer. ALL vehicles and trailers must be parked OFF of the roads and overflow parking areas as this will impede the work. If you know anyone that parks in the overflow area, please remind them to move their vehicle. Please be advised that newly paved roadways will take approximately one hour to cure and should not be driven on while hot! Driving before this time could result in tracking asphalt onto your driveway and damaging the new roadway. If you must travel through the construction, PLEASE drive slowly and watch for and listen to directions provided by the contract workers. Our goal is to give you a new road that will last a maximum life with the LEAST amount of inconvenience. Your cooperation is GREATLY APPRECIATED. If you have any questions during the work there will be someone on sight to help. For additional information, please contact District Property Management at (352) 753-4022. If you are interested in becoming an alternate member on the Architectural Review Committee for District 3, please click the link below for the application. Please complete the application and return it to the Community Standards Department, 984 Old Mill Run, The Villages, Florida no later than 5:00 p.m. on Friday, April 26, 2019. For information about the position, contact the Community Standards Department at 751-3912. Village Community Development District No. 4. If you are interested in becoming the alternate volunteer representative for District No. 4, please click the application link below. Please complete the application and return it to the Community Standards Department, 984 Old Mill Run, The Villages, Florida, no later than 5:00 p.m. on Tuesday, April 30, 2019. For information about the position, contact the Community Standards Department at 751-3912. In our efforts to keep the recreation facilities in optimal condition, the Bridgeport Recreation Center Shuffleboard Courts will remain closed for maintenance until further notice. We apologize for the inconvenience. If you have any questions or need additional information, please contact the Bridgeport Recreation Center at 352-259-6590. In our efforts to keep the recreation facilities in optimal condition, the Laurel Manor Pickleball and Tennis Courts will be temporarily closed for maintenance on Wednesday April 24, 2019. We apologize for the inconvenience. If you have any questions or need additional information, please contact the Laurel Manor Recreation Center at 352-751-7110. In our efforts to keep the recreation facilities in optimal condition, the Lake Miona Recreation Center will be temporarily closed for total facility cleaning on Sunday, April 28, 2019. We will be open for guest pass and trail fee services from 8 am until 12 pm. This schedule may be adjusted due to unforeseen circumstances, including weather. We apologize for the inconvenience. If you have any questions or need additional information, please contact the Lake Miona Recreation Center at 352-430-2950. Construction is under way for the new outdoor fitness equipment at the Lake Miona Regional Recreation Center. For your safety, please refrain from visiting the area until the project has been completed. For further information, please contact the Lake Miona Regional Recreation Center at 352-430-2950. In our efforts to keep the recreation facilities in optimal condition, the Maltese Falcon, Casablanca and Key Largo rooms at Bacall Recreation Center will be temporarily closed for chair replacement on Thursday, April 25, 2019 from 7 a.m. until 5 p.m. This schedule may be adjusted due to unforeseen circumstances, including weather. We apologize for the inconvenience. If you have any questions or need additional information, please contact the Bacall Recreation Center at 352-350-2281. In our efforts to keep the recreation facilities in optimal condition, the Canal Street Recreation Center Billiard Room will be temporarily closed Wednesday, May 1, 2019 through Friday, May 3, 2019. We apologize for the inconvenience. If you have any questions or need additional information, please contact the Canal Street Recreation Center at 352-205-8571. In our efforts to keep the recreation facilities in optimal condition, the Sabal Chase Pool will be temporarily closed for acid washing Friday, April 19, 2019 through Friday, April 26, 2019. This schedule may be adjusted due to unforeseen circumstances, including weather. We apologize for the inconvenience. If you have any questions or need additional information, please contact the Bacall Recreation Center at 352-350-2281. In our efforts to keep the recreation facilities in optimal condition, the Coconut Cove Tennis Courts will be closed for maintenance until further notice. This schedule may be adjusted due to unforeseen circumstances, including weather. We apologize for the inconvenience. If you have any questions or need additional information, please contact the Coconut Cove Recreation Center at 352-750-5870. In our efforts to keep the recreation facilities in optimal condition, the Colony Cottage Regional Center will be temporarily closed for maintenance on Saturday, April 27, 2019. All outdoor facilities will remain open. This schedule may be adjusted due to unforeseen circumstances, including weather. We apologize for the inconvenience. If you have any questions or need additional information, please contact Colony Cottage Regional Center at 352-750-1935. In our efforts to keep the recreation facilities in optimal condition, the Big Cypress Recreation Center indoor and outdoor facilities will be temporarily closed for quarterly cleaning, maintenance and parking lot resurfacing Saturday, April 27, 2019 and Sunday, April 28, 2019. This schedule may be adjusted due to unforeseen circumstances, including weather. We apologize for the inconvenience. If you have any questions or need additional information, please contact the Big Cypress Recreation Center at 352-674-8385. In our efforts to keep the recreation facilities in optimal condition, the Moyer Recreation Center Shuffleboard Courts will be temporarily closed for maintenance until further notice. We apologize for the inconvenience. This schedule may be adjusted due to unforeseen circumstances, including weather. We apologize for the inconvenience. If you have any questions or need additional information, contact the Moyer Recreation Center 352-674-8440. In our efforts to keep the recreation facilities in optimal condition, the Cattail Recreation Pickleball Courts will be closed until further notice. This schedule may be adjusted due to unforeseen circumstances, including weather. We apologize for the inconvenience. If you have any questions or need additional information, please contact Recreation Administration at 352-674-1800.